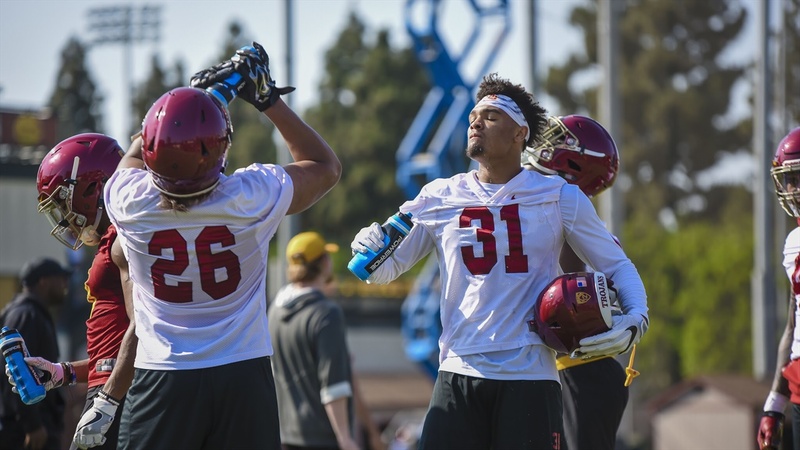 Former Trojans Chad Wheeler and Marvel Tell made appearances throughout practice. Austin Jackson was absent from practice today. Devon Williams and Solomon Tuliapupu were not dressed. Greg Johnson and Josh Falo practiced very minimally before becoming spectators for the majority of practice. With Jackson’s absence, Jalen McKenzie moved from RT to LT. Liam Jimmons filled in for McKenzie at RT and Frank Martin came in at LT for McKenzie after McKenzie was shaken up on a play.